Earlier this year, as part of a major presentation following Nintendo's annual financial results, Satoru Iwata unveiled the Nintendo Figurine Platform, which was then announced with some style as amiibo during E3 2014. The initial E3 reveal focused on Super Smash Bros. for Wii U, though a follow up gave a little more information to state that the toys will work across multiple titles, admittedly with no tangible explanation of how they'll work. In fact, the general theme around amiibo is one of mystery. We know what they look like, even enjoying a close look in some attractive booth demonstration, but much of what we know is conceptual or related directly to Super Smash Bros. on Wii U. We talk up and believe that amiibo could be a huge platform for Wii U this Holiday season, and also on 3DS in 2015, but that's based on limited information. As we're now surely just a few months away from these toys / collectibles arriving in stores, we've decided to weight up the pros and cons — or positives and uncertainties — so far, based on the concept and marketplace they'll drop into. Nintendo has made clear that it'll be exploring new opportunities to promote its brand and broad range of IPs, and amiibo is the most powerful representation of that to date. The range revealed so far is ideal on that score as it's branded for Super Smash Bros., a series that thrives on bringing together an improbable and diverse cast, in which Mario can battle with the Wii Fit Trainer, or Pit can face off with Captain Falcon. The inclusion of third-party characters shouldn't be forgotten, either, and as Nintendo's goal is to release an amiibo figure for every character in Smash Bros., we can realistically hope for Mega Man, Pac Man and Sonic to make an appearance. For devoted Nintendo fans, the amiibo toys — especially due to the charming and impressive quality in the demonstration figures — are potentially a dream come true. This writer has no interest in the Skylanders or Disney Infinity toys, but has already earmarked at least half a dozen amiibo figures that will be impossible to ignore. We suspect that applies to plenty of others, too, so combining those cool toys with features in various games through the GamePad is very welcome. With its characters so recognisable to multiple generations of gamers, Nintendo has a real opportunity to tap into that nostalgia. Activision and Disney have made a lot of money from their respective toys-to-life franchises, but Nintendo seems to be trying to find a balance between maximum profits and affordability. There'll be plenty of toys that'll cost a fortune to collect, but the company has already promised that a single toy will work across multiple games, while their function in Super Smash Bros. is as an optional extra to assist in battle. There's no sense yet that not buying any toys will detract a great deal or limit content in the game. 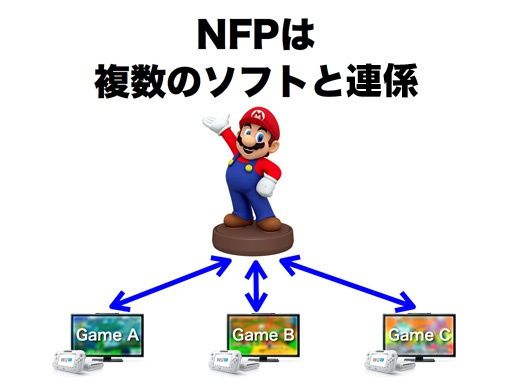 As the diagram (above) from Nintendo's initial pitch shows, amiibo toys should be cross functional across multiple games, a point emphasized at E3. While a Smash Bros. Mario may have special abilities in that game, there'll be default Mario abilities in subsequent titles, all part of the concept of providing value for money; no portal is needed on Wii U, either. While existing titles and their toys store data and allow characters to be carried around and dropped into games, Nintendo is promising a little more depth in the NFC toys for amiibo. The E3 presentation emphasized that Smash Bros. toys, for example, can be used to assist in battle, used as opponents or even set into viewable matches with other NFC toys. That figure will level up and learn from its fights, and there'll also be customisable moves and training options. The key point Nintendo's keen to push is that, through customisation as an example, you're able to determine and dictate the data that's saved, opening the door to various possibilities across other franchises. The focus this year will be all about Wii U, with Nintendo no doubt hoping to use the new attraction to also drive attention towards the home console. We shouldn't forget that next year will also bring a peripheral that will allow amiibo toys to be used with the 3DS, which will open up opportunities similar to those outlined above to the portable, useful in giving the system a greater push as it moves (probably) into the latter half of its generation. It's slightly concerning when we consider that the amiibo range is potentially only a few months from release, assuming targets are hit and it arrives alongside the 'Holiday' Super Smash Bros. for Wii U. We're moving into mid-August and we've heard nothing about the platform since E3 in June; beyond unanswered questions, which we'll come to, it leaves Nintendo less time with each passing week to build excitement about the range. It needs buzz in the mainstream market, which can help encourage retailers and prompt them to buy a lot of stock and reserve shelf space for the range. Nintendo has to get moving. We have a decent idea of how amiibo will work in Smash Bros., but as for other games we have little idea. Considering the fact that the other confirmed games are Mario-themed or in that 'universe', will a Samus figure — for example — work in some way? What will we be able to do with an amiibo figure in Mario Kart 8? We don't know, and that taps into the issue above — Nintendo's taking uncomfortably long to explain further, and we can only hope that the details will be worth waiting for. We've commended Nintendo's plans to support multiple games with amiibo toys, but unlike the focused offerings from Activision and Disney that brings some serious pressures. Just this week some expressed disappointment when it emerged that amiibo is unlikely to be usable (retrospectively) in Hyrule Warriors — it wasn't actually stated definitively, but it's highly unlikely and implied. We were surprised anyone though they would be on the table for the Warriors spin-off, but that shows how expectations don't always sit well with reality. With any major first-party release Nintendo will be asked how it'll use amiibo. What about Splatoon, or The Legend of Zelda? Is Nintendo going all in with amiibo, or will they be dabbled with in occasional releases? Either way, the admirable model perhaps puts pressure on the company's developers to shoe-horn features into games. If you go into a specialist game store or even browse a games section in a larger outlet, odds are good you'll see Skylanders and Disney Infinity toys. Nintendo's trying to horn in on that shelf space, also competing with this year's fresh releases. Parents will be watching budgets and will surely be picky, and children may want to continue with their existing favourites. This can be countered with some of the positives we've outlined above, but it's a legitimate challenge for Nintendo. LEGO is even jumping in with its 'Fusion' range of sets that'll integrate with smart device apps, so there are a lot of big players fighting over the interactive toy space; Nintendo's not even confirmed how much the toys will cost — there are speculative pre-orders online — beyond them being comparable with rivals. Pricing and visibility are vital, which remain uncertain and unknown factors at this stage. Overall, Nintendo has plenty in its favour in making amiibo a success, but there are also some serious obstacles and challenges ahead. A priority, we'd suggest, is getting the word out as soon as possible. 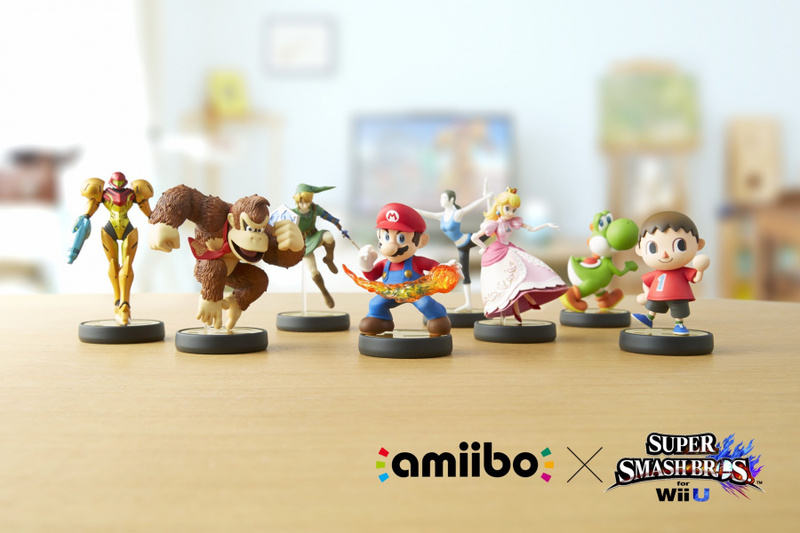 Are you optimistic and excited about amiibo? Let us know in the poll and comments below. One major deciding factor is the price. If it's too expensive, and you barely get to use it, that's money possibly wasted. If you spend a decent amount, and you don't get to use it much, that's money possibly wasted. It also depends on the type of Amiibo you get. If you get Mario, chances are that you'll get to use him a lot since he's in a lot of games. Get the Wii Fit Trainer, and the only place you might use it is in Smash Bros and Wii Fit, which is pretty shallow. Wasn't Mario Maker supposed to support amiibo as well? EDIT: Well, maybe not. I thought I saw a confirmation somewhere. Psst, Nintendo! Implement amiibo in Mario Maker! While I think the use of amiibo in various games gives it a stronger lifetime value and draw over the other playset systems, I do think nintendo should make a Nintendo Universe or something that is an Amiibo only game. @Shirma_Akayaku The price is important for it's success, no doubt about that. For me though, the pieces itself just don't cut it. Honestly, my shelf space is just too valueable, and most of those pieces just don't impress me at all. I wouldn't really want to have them on display all the time, they would just take up space I could use for better aesthetic or functional purposes. Maybe the functionality will sell me on it, but I doubt that. Yeah, I'll add a thing about price, that's a good point. The current pre-order prices are ridiculous. Having a Link, Sheik, Pit and Star Fox on my desk sounds awesome even if they don't sell well or have any use.. I will buy a samus if she's not too shiny. And probably a kirby. Perhaps more. But at this point they're just cool looking figures. I have no idea how they'll integrate with games like mariokart8. Surprise me Nintendo! I'll be a lot more interested if Smashbros comes bundled with one. Beyond that, I think I'll buy my favorites and see what others come out. It really isn't that crowded of a market considering their are only 2 competitors. I really, really, really, don't care about the NFC interaction. As far as I can tell, it's just DLC that you have to go to the store to actually buy, and the target audience seems to be gullible little kids. I'd rather Nintendo license out the rights to good figure companies to make high quality figures of Nintendo characters than make these below average small figures for the NFC gimmick. I think I will get Animal Crossing villager, Link, Mario, and maybe Fox. I would love them to make some Kirby statues of him using some of his abilities like ice or fire. I'm not too interested. I could see it being big for collectors, but we know so little about its implementation that I don't think it will be a big hit. Nintendo seems to preach patience but eventually drops the ball with stuff like this, i.e. the VC. I'm not interested in these at all I but hope it sells well for Nintendo. I feel the exact same way. Even if I get a Wii U, I'm not spending extra money on any NFC toys. However, I do hope Nintendo cashes in and makes money on it. Most of these concerns are very real, sometimes painfully so. But I'm pretty sure Nintendo will at least bring in some big competition. Why? Nintendo itself is an established brand like no other in and around gaming. They existed for extremely long, and in their lifetime created many famous characters. And these characters also have anongoing presence in gaming, unlike Skylanders (completely new characters every season alienatrs at some point) and Disney Infinity (almost all characters had no impacting presence in gaming so far, and many only appeared in one movie respectively). And that, in turn, helps bringing lesser known characters to the front. Releasing amiibo with Smah Bros. is an incredibly smart move, since not-so-famous characters like Pit, Olimar, Marth, and Palutena get some decisive exposure to the masses through the game, which in turn is bound to boost demand and uphold a certain level of momentum. They can use this momentum to advertise amiibo support directly through the characters. I'm cautiously optimistic. While i love Disney, like Skylanders, you only get to use them in that series but i like the fact you can use amiibo with other games. I hope their use is justified though. Nintendo NEED to stress how they can be used with multiple games and that they are OPTIONAL not essential. Skylanders, for example, you have to have at least one of each element, so 8 altogether, to access all areas of the game. If you want 100% though then all the figures are needed. As someone who has a budget, that turns me off. However, i like the idea with amiibo that i only need to buy them only if i want to and aren't essential but can add some extra fun to games. I will be getting them but again price will be a massive factor- Infinity and Skylanders are roughly £11.99 for the normal size figures. If Nintendo said "look, you can use these across multiple games as optional extras and they'll be £9.99" that is more appealing than the others. They need a good strategy plan this Christmas but with some careful planning and maybe a promo or two, Nintendo could walk away the winner here. Nintendo needs to properly hype it and it will turn into the new craze. If they let it limp out like it seems they've done with 90% of their recent content, I am not so sure. @DestinyMan Really? That's disappointing. I thought they would work with more games at once. @Shirma_Akayaku The thing is: I have a few Nintendo figurines on my shelf that dont do much - they just sit there and decorate my gaming space. I'm more than willing to pay a bit more for them if I get the possibility of game integration. Either way, even if I hardly ever use them in a game, they'll never be useless, like my current figurines aren't. I want to be excited about Amiibo, and am exactly the kind of gamer+collector that this should be targeting. The potential is there. It's all about execution at this point. Unfortunately I have extremely little confidence in Nintendo - especially NoA - to handle the idea properly. so if i buy link i can then use him in metroid and mario or is this just a memory card shaped like link? if the figure is removed from the base it still works as well? Nintendo's only plan with these amiibos is to make it's fan waste so much money on them.That's not fair and yeah it will be successful if they market these figures right,after they do that the money will follow. I think at this point the negatives in the article - no advertising, no price info, not necessary for any game, no game geared towards them, Disney and Skylanders figures already crowding shelves - far outweigh the pros - cool figures that peopel will want to buy and pu ton their shleves. That's really the only one. Also, Disney and Skylanders figures may only work in 1 game - which is a lie as skylanders figures will soon work in 4 and Disny in 2 - but much more importantly - THEY WORK ON ALL PLATFORMS. amiibo will work ONLY on Wii U for the time being. If you own a store how much shelf space are you allotting for these compared to the others? Nintendo's Been Slow to Build Anticipation"
Um, this has been Nintendo's problem since 2012, in regards to everything related to Wii U. The high scores in the polls reflect the type and age of the gamer that votes and I guess they will buy the toys. There is nothing wrong with Nintendo making Mario toys as an extra income for the company if it is as 'well as' and not 'instead of' games. All its money and efforts should be in making more games and not for making toys that work with the few games they are releasing. Gamers want to buy and play a good Nintendo game and then move on to the next game and not collect expensive toys for the game they have already paid a high price for. "The high scores in the polls reflect the type and age of the gamer that votes and I guess they will buy the toys." Put this poll on IGN or Joystiq or Polygon and you'll get much more realistic result sets. Samus in Mario Kart 8. Are my hopes unrealistically high? Yes, yes they are. In any case, I will buy Samus just to have it. How many other Amiibo's I buy will directly depend on how interesting the implementation is. In Japan, figurines sell even without nfc capabilities. Hoping they'll be adding more soon though than just the ones they've showed so far. Would really want the female Robin and Lucina. Call me old fashioned, but NFC stuff for gaming just doesn't interest me in the slightest bit. @cfgk24 Yeah. Especially those with removable clothes. From what I heard you can't even pre-order them unless you spam clicks on the exact time when the pre-order starts. Yep. Nintendo makes incredible games, but often comes up short with supporting materials and optional accessories. I've still got my e-Reader with a pack of Animal Crossing cards in my closet... sitting right beside the Kid Icarus AR promo pack distributed through Club Nintendo. Fantastic ideas, poor execution. Here's hoping Amiibo does better than I expect. they're just figures. with a chip in them. so will not sell. Pricing and connectivity are all well and good, but the reality is that we don't live in an age where people are going over to a friends' house to game together as much. Back in the day, if I wanted to play TMNT 2 on NES, I had to go over to my buddy Jeremy's house because a) he had the cart, and b) no online. I'm an adult now with children of my own, but as a Nintendo fan/gamer myself who likes this amiibo stuff...I'm wondering "okay great I can store data on these things, but what does it offer me as a single player gamer?". The nostalgia for Nintendo characters runs deep in my veins, but I need a reason to USE the amiibo stuff other than displaying it on a shelf. Do I get a different racer in MK8 with my amiibo? Do I get an extra mini-game in Zelda? Better yet, sell me the retro Link from NES Zelda days, and give me an extra dungeon for my eShop VC game! I would pay top dollar for that. My point is that the transfer of data feature is cool, but in an online multiplayer first world, I'm curious as to how they will market it to single player gamers. @cornishlee Well AFAIK amiibos will be used for extra features in games and will not compromise the core gaming experience. If you hate extra contents on games, you might as well quit gaming all together because Sony and Microsoft is doing the same thing with DLCs and even worse, pre-order/retailer exclusive DLCs which I absolutely despise. I will purchase a few of these, but mainly to collect. The images I've seen so far show a high level of detail, and they'll look great on my wall of collectibles. Since I'll most likely purchase some of the games that these'll work with, I may try out that aspect, but I don't see it being the deciding factor that pushes me to buy more. Can't wait to use the villager one on next year's port of New Leaf. I'll definitely be getting the Fire Emblem and Kid Icarus figurines. And I'm no fan of Stitch, but Tinkerbell is probably more popular in the US than any but Mario. Edit: I only saw the Disney Infinity 2.0 ad on the Wii U esh op after I posted this. Wonder if we'll ever see an amiibo ad on there? Not interested in amiibo at all. I really can't see why people would want these. It's a dumb gimmick designed to take more money from you. What's a pro for the consumer again? Anything important? Not even remotely interested in spending my money on this. @Hy8ogen - pre-order bonus, day one DLC, season passes, piecemeal content packs...yes, you are correct that this has become the norm. For those like us who support Nintendo, we are just being realistic. Nintendo is slow to adopt new concepts, and that comes with the good and the bad. In this case, they've taken longer then most to adopt the DLC model. So those complaining about Nintendo adopting these monetization schemes need to take a look at the rest of the industry where this has long been the norm and to a much greater extent before pointing the finger at Nintendo. I love the epic detail on the Mario figure and the Wii Fit figure is pretty cool looking, but the rest of the figures are kind of meh. I'll probably get Link just because it's Link, however. Who said anything about hating 'extra content'? That would be a rather silly stand, wouldn't it? You answered my point admirably, then added some ridiculously patronising rhetoric. I think I'd really just get the figures for the sake of having them, like a Luigi Amiibo or a Ness Amiibo (C'mon! Is there really any doubt that he'll be in Smash? ), or a Mr. Game and Watch Amiibo. That's really all that's making me want to get them at the moment. You are so right sir. Go Nintendo and advertise the hell out of amiibo, now! 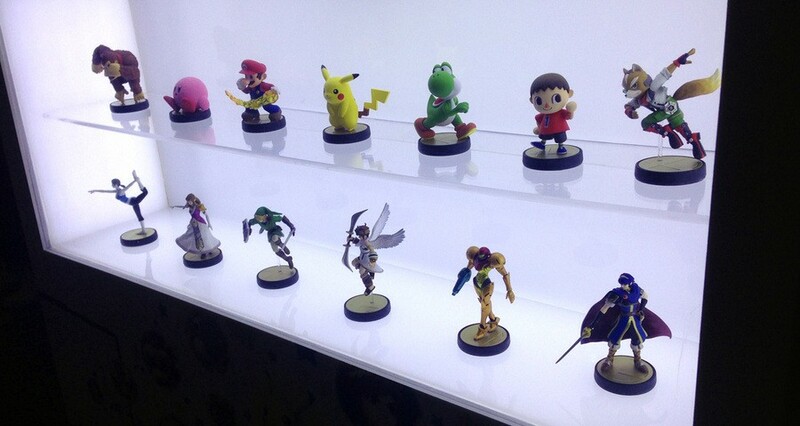 Definitely getting Zero Suit Samus, Zelda, Lucario, Sonic, and Toon Link. Honestly, Disney has just as memorable a range of characters, probably moreso, than Nintendo. Nintendo is more prominent in gaming, but like you said, it is a crowded shelf Nintendo is trying to find space on. How many different figures do they expect people to buy if one can be used with many games? People don't need 5 Mario toys when one will work in 6 games. Why would a bunch of people buy multiple Captain Falcon toys if it can only be used with one game? Too many questions, and no answers for them. @ejamer My thoughts exactly. Nintendo has always been the master of awesome, outside-the-box ideas that redefine gaming...but still very much struggle to implement and push those ideas all the way through. The double screen concept in the DS or the motion controls on Wii were game-changer concepts (no pun intended) and redifined how we play games. The Wii U Gamepad in my opinion is no different. Fantastic idea. As usual though, I'm still waiting to see its potential fully realized. Amiibo could be great...but I'll believe it when I see it. What @ejamer said. I still want to buy a couple just because I really, really like particular characters, but not very many. Not excited to actually use them with games, because we have very, very little detail about that, which is a huge con to me. You can add WiiTV, GBA to GC connectivity, GBA card reader, GB printer, N64 expansion pak, Wii microphone, SNES SuperScope, N64 Disc Drive and many others to the list of Nintendo peripherals that were released with much fanfare and which eventually fizzled out because they had no idea what to do with them beyond their initial introduction. I can't see buying a ton of them, but I have to think I'd end up with a few - it all comes down to what functionality they have in different games. The Smash Bros. "sidekick" thing seems okay for the kids or less-skilled players, but I can't say that I see much use for it personally, unless there's a compelling "team mode" for solo players that leverages it. I'm sure the hype train will roll out closer to release, just a bit more patience is required! Wow, I just chosed the less voted option. Your avatar is freaking awesome! Right now what Nintendo needs more than anything is a game that basically requires the figures like Skylanders and Disney Infinity does. The draw is in buying a new toy and also getting the satisfaction of unlocking a new character to play with. Nothing Nintendo has offered is anything close to that. And I think their assumption that the figures will sell just because kids like toys might be the undoing of this whole thing. But we'll see what they come up with. I just don't think the fact that they've failed to reveal anything at this point is a good sign. And unlocking minor additional features in games isn't going to cut it. I'll get a couple for the shelf and maybe try one on Smash Bros 4 but i don't think the game side of these Amiibo will enough to draw people in. The models detail and quality however have already got me. Edit: Also worth noting that Disney Infinity 2.0 Figures now cost £15 a pop and £30 for 2 on Amazon UK, I hope for Nintendo's sake they price them at £11.99 at the absolute maximum. I'll buy a few figurines I'd want either way and wait to see how well-implemented the whole NFC thing is before committing to buying the whole set. As long as they are in the ~15€ range, I think I will get most of them, even if no game ever supports them. I am already thinking of Marth, Samus and Link as my first buy. Question: do we think an Amiibo will be used to hold MK8/Yoshi/MP10/Cpt Toad data, or will they work as keys to DLC instead? I want to see more of how they actually affect the gameplay before I decide whether or not I want them, Smash Bros. is a bad example because Amiibos just look like they play the game for you, and that's not really a good use for them. I need a price. I'd buy em without the game support anyways for 9-11 bucks each. @DestinyMan exactly. Will I use these with Smash Bros? Sure, just to mess with em and see if I can make an opponent that's shaped to fight my style and improve how I play.. But for the most part, I just want cool figures of my favorite Nintendo characters! @DestinyMan Not sure if this has already been mentioned but the one game at a time thing could easily be bypassed by having multiple game profiles/saves on the Wii U that get transferred back and forth between the amiibos and the console. Is it just me, or has Skylanders done its dash? Our stores are full of figures and they're just not selling. Every week there's a "buy 1 get 1 free" deal and they still can't move them. 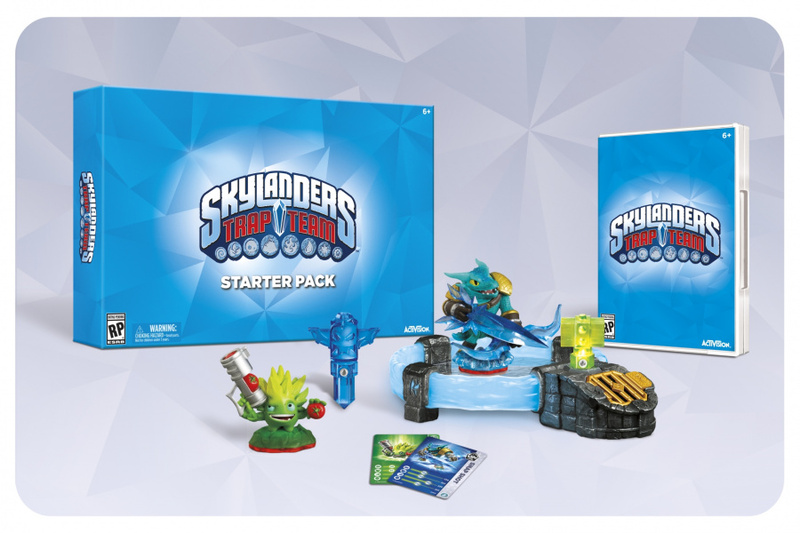 We had a 'limited edition' Wii U console pack promo with Skylanders included, and eBay is full of people trying to sell off the Skylanders rubbish that the console came with. It seems the real battle will be Infinity 2 vs Amiibo. Whilst I feel Amiibo will be a financial success for Nintendo, I'm not interested myself. I thought the 2.0 figures wont work on Infinity 1 and the Skylanders figures don't downgrade either. While Amiibo being two systems only is a valid concern I don't think Nintendo is trying to outdo Disney and activision, I think they want to leverage nostalgia on the Nintendo fan. Which can still translate to pretty big longtime sales. New Skylanders characters released with Skylanders SWAP Force will only work with Skylanders SWAP Force, and most do not work with any other Skylanders game. There are a few Series 2 and Series 3 characters, however, that will work with Skylanders Giants and Skylanders Spyro's Adventure. Agreed because that is the battle of the childhoods right there. I was waiting on Infinity to be less Pixar and Johnny Depp but Nintendo derailed that for me when they announced Amiibo. I still want Infinity but it will be awhile now. I like all of the figures but I would like one that looks like the wooden block-head in Tomodachi Life. I think Amiibo will sell very well. Even for budgeting parents like myself, these figures are a must have. I admit, we bought every Skylander for the original game and Giants... but when Swap Force and Disney Infinity hit, we were very selective on these figures, getting probably 20 each per game over time. As far as these Amiibo figures go, I'll start off by buying the ones that I love the most, but over time, I see us collecting them all. Even though it's late, I feel this is a mini goldmine for Nintendo. I definitely want some more info on how these will work for non-Smash U games though. Nintendo HAD TO get the info about amiibo('s existence) out at E3. Anyone can see and understand that. Now they are probably silent about it because the games for them and functionalities are "highly in production" and they collect all the info and will introduce them to us as soon they have the main bunch of info together. THEN they will do the marketing and merchandise. It's like the opposite of the Hyrule Warrior approach, where they drop every single bit of information out by its self. It's too expensive. I'd rather spend money on new games. I love the look of them... And I'm not cheap... But that's too much. I hope and assume the price will be more like $19.95AUD. Far more accessible then. To me the biggest pro is that they can be used in multiple games. Nintendo really does need to start dishing out the details about how everything is actually going to work with games other than Smash Bros., but regardless I think this is going to be a runaway success for the Big N.
While I'm not personally too excited about any of this, there's a number of these toys that my girlfriend can't wait to get her hands on, so I'm excited for her. The biggest surprise for her will be which ones I buy her for Christmas. @Ryu_Niiyama - OK, the new toys aren't backwards compatible, but they have all been forward compatible to this point. So far I think we have seen the amibo in exactly 1 game. If there is footage of them actually working in more than 1 game please link to it, we'ld all love to see it. Skylanders and Infinity have a game-world in which to play with figures. So far, figures are just (we think) expensive DLC. I am looking forward to seeing what they do with the figures, but if there isn't a core sandbox game, they will likely flop, when compared to infinity and skylanders. For the rest we know nothing. We do not know how much they will cost, release-dates or what they will unlock. I don't know if they will be succesful either, since we do know almost nothing. Disney infinity doesn't seem a smash hit, though it seems to be popular enough to continue (otherwise Disney already would have stopped it). I do think however that it will be a VERY expensive affair, seeing as the whole Smash roster will be figurines. Also, every Smash figurine used for several games?! I don't see that happening! For one, the Megaman figurine probably won't be used in a new game (since there won't be a new game soon). I don't know what to think. I know what I think about their usage in SSB4 though. You use them on the character select screen only, making the toys interactivity with the game almost non-existent. So if they only are tools to unlock a feature, what do they unlock? A higher level cap for one AI character. A bit underwhelming. Nothing you couldn't do without including toys. Maybe other games will use them creatively though. Until then, the only reason I would want one or two is because they look nice. If it ever comes to the point where I need thee figures to get content out of a game I own then Nintendo has lost me as a customer. I simply won't continue to buy their games if I need to buy a bunch of toys in order to get locked content. Now I'm hoping this isn't the case, because I honestly haven't looked into it all that much yet. I'm pumped for amiibo for sure! I'm even contemplating not getting the next Skylanders game so I can collect some of these instead. For the Super Smash Bros. series of figures, I'll likely only get one character from each franchise, unless there are two in a franchise which I really like. If a franchise only has one representative, such as Yoshi or Villager, it makes my decision very easy. And as for Wii Fit Trainer...well, I'm currently undecided. For me the biggest cons aren't listed in the article: (a) $$$ and (b) I want to play games without having a bunch of unnecessary plastic cluttering up my living room. gamescom would be a great opportunity to go into more details on amiibo, no? I want these so bad! I just want them as decorations! The pikachu and kirby as well as samus were exceptionally well done and very smooth. I also hope there is a ness one. UGH ITS GONNA COST ME SO MUCH!!! I'm probably just gunna buy them cause they look badass. To be honest, there should be a way to get them free too, like with a game or something. I don't think it is very fair on parents that you would have to pay extra just to get another part of the game. 2.- In NES Remix, for example, you unlock special challenges in games related to your character. Think the challenges brought by MegaMan, Samus, F-Zero, Satr Fox figurines, etc. Nuff' said. 3.- In Mario Party you have access to minigames (while playing solo or with friends). 4.- Nintendo should develop a sandbox game or a big adventure game (Mario 64) where you get to use any amiibo character and embark on a set of adventures. The more amiibo figures you collect, the more the game expands. This game should be sold with a couple of amiibo. Also, a Mario Paper game should also work very well. The figurines should not cost more than 13 bucks. Anything greater than 15 is out of the question. And I don't think that Nintendo should/will go below 10 bucks. In any case, I'll gladly buy 3-4 just to have them on my desk: Kirby, Samus, Luigi and Wario are a must on my list.